Edgar Ross and Archer Fordham use an early burgundy Ford Model T as their primary mode of transportation. Players are obligated to ride as a passenger in the vehicle in several gameplay missions. Mr. Fordham is seen starting the car from the driver's seat which means it must have an early accessory starter motor fitted! 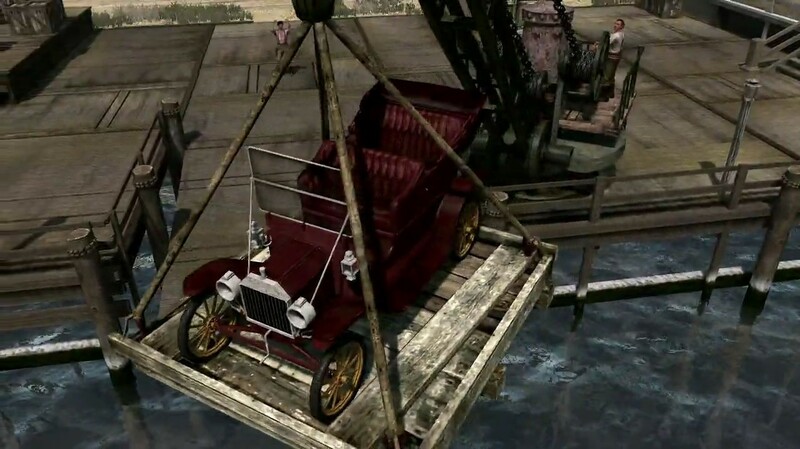 A Ford Model T is seen being unloaded at the Blackwater docks during the introduction cinematic. The same vehicle is seen parked beside an automobile repair shop on a street in Blackwater. "Red Dead Redemption" is a western action-adventure video game. It's set during the decline of the American Frontier in the year 1911. It follows John Marston, a former outlaw whose wife and son are taken hostage by the government in ransom for his services as a bounty hunter. Having no other choice, Marston sets out to bring the three members of his former gang to justice. Apart from a Model T, players will also encounter an early Darracq 'Perfecta' that has been modified with steel armor plates and a Maxim Gun! Perhaps a good way to introduce the hobby to teenagers? 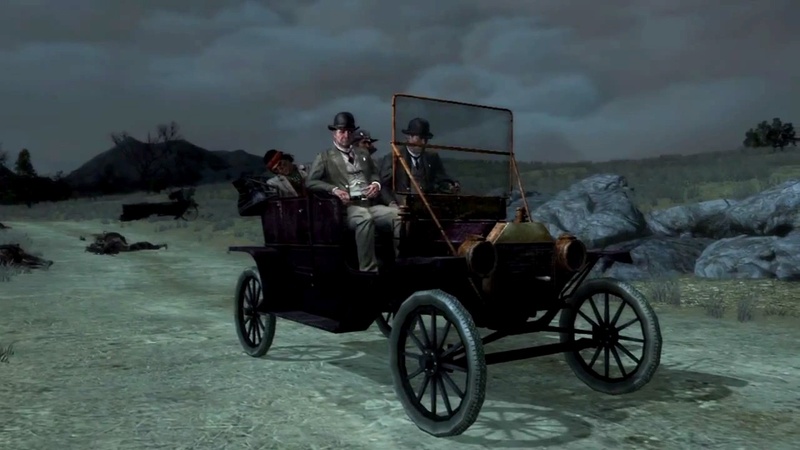 Maybe, maybe not; but there's no question that seeing John Marston with a Model T is more than enough to make a Model T "cool".